Chickpea or garbanzo beans are a good source of wide range of nutrients. They are great for babies since they contain healthy energy and protein that’s essential for growth. 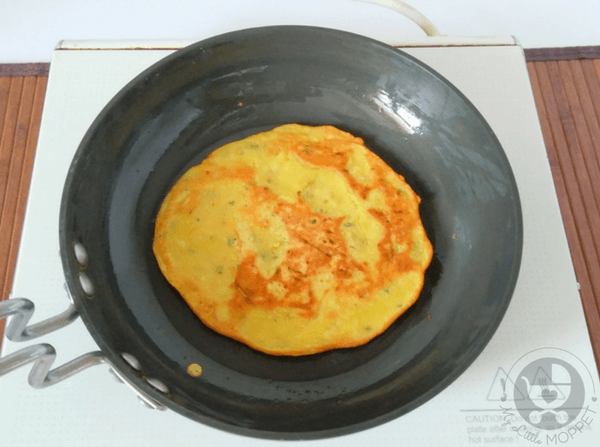 Chickpea flour can be introduced to babies after 8 months of age in porridge, crepes and pancakes, which brings us to today’s recipe – Chickpea Veggie Pancake Recipe for babies! Note: Do not add salt if feeding a baby under 1 year. 2 tablespoon oil or ghee to make the pancakes. 1. In a mixing bowl sieve chickpea flour. Add carom seeds and salt ( if using). Mix well. 2. In another bowl take finely grated carrots and add ½ cup hot water to it. Leave the carrots in the hot water for about 5 minutes. This step helps the carrots to soften. This step can be omitted if making the pancakes for toddlers. 3. 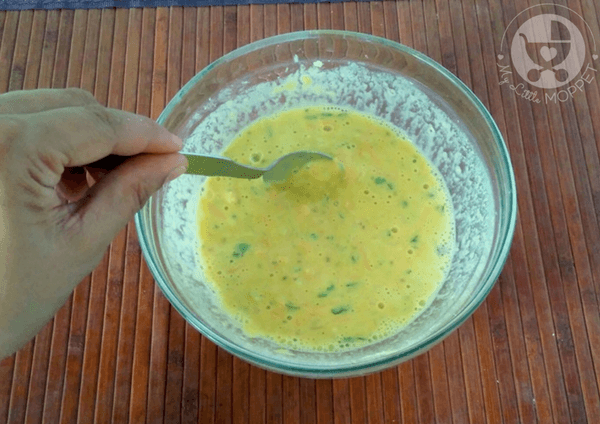 Add finely grated carrots, cucumber and finely chopped coriander leaves to the chick pea flour. 4. Add water slowly to the flour and keep whisking to get a lump free batter which is neither too thick nor too runny. 5. Heat a nonstick pan. Drizzle oil or ghee over it. Add a ladle full of pancake batter and spread in a circle shape with the help of the back of the ladle. 6. Cover and ensure the pancake is cooked from both sides. Serve the pancakes warm. For toddlers or older kids, you can add some kind of sauce or chutney. 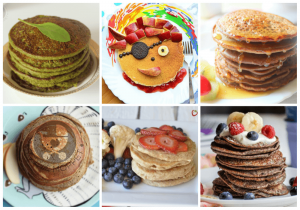 These pancakes are a healthy and tasty way to add veggies to your babies food along with a protein source. 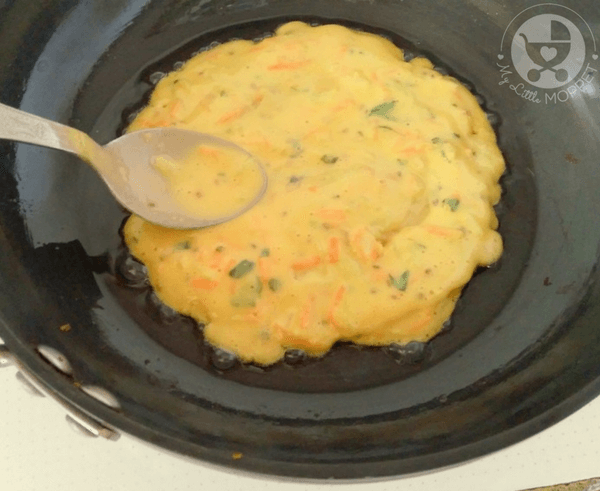 Blending chickpea flour with veggies like carrots and cucumber increases the nutrition quotient. Coriander leaves enhance the flavor and carom seeds aid digestion. 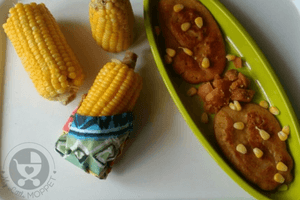 All in all, this is a must try recipe! 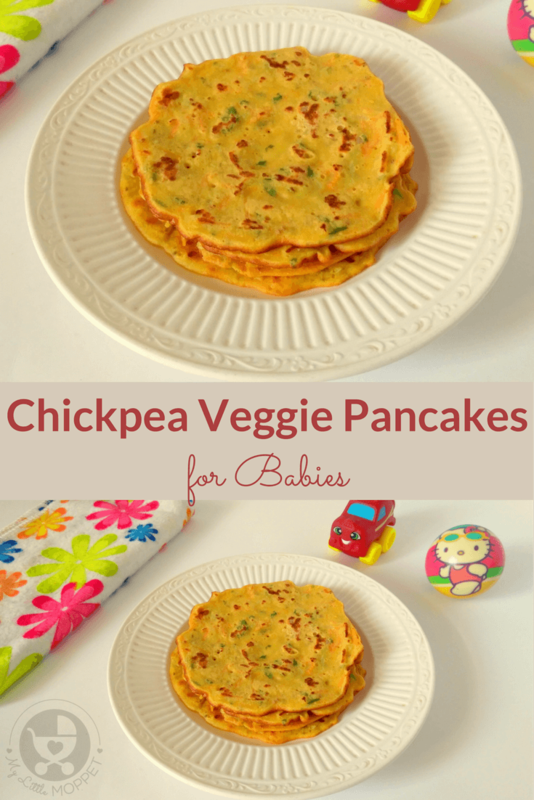 Give your little one a nutritious meal in the form of this Chickpea Veggie Pancake Recipe for babies! 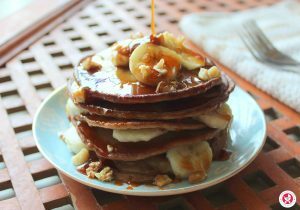 Packed with protein and energy, this is a must try recipe! In a mixing bowl sieve chickpea flour. Add carom seeds and salt ( if using). Mix well. 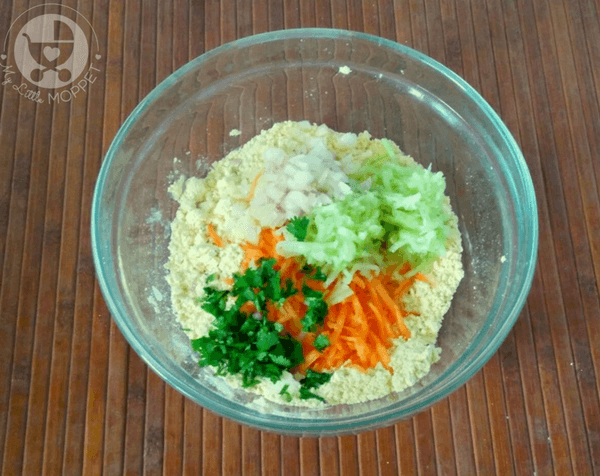 In another bowl take finely grated carrots and add ½ cup hot water to it. Leave the carrots in the hot water for about 5 minutes. This step helps the carrots to soften. This step can be omitted if making the pancakes for toddlers. 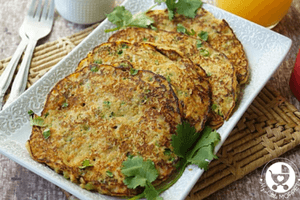 Add finely grated carrots, cucumber and finely chopped coriander leaves to the chick pea flour. Add water slowly to the flour and keep whisking to get a lump free batter which is neither too thick nor too runny. Heat a nonstick pan. Drizzle oil or ghee over it. Add a ladle full of pancake batter and spread in a circle shape with the help of the back of the ladle. Cover and ensure the pancake is cooked from both sides. 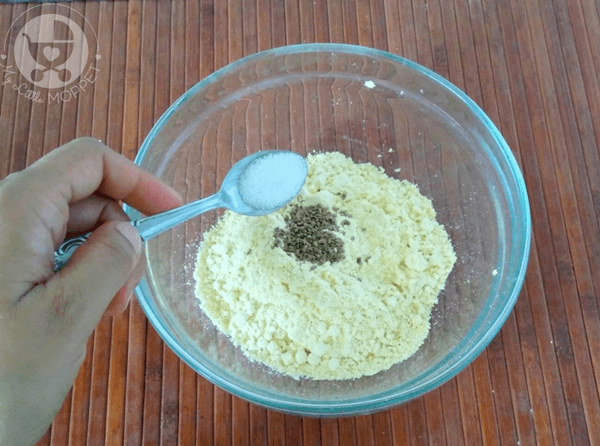 How to make chickpea flour?? ?is it commercially available ??? Yes dear it is available in the market. 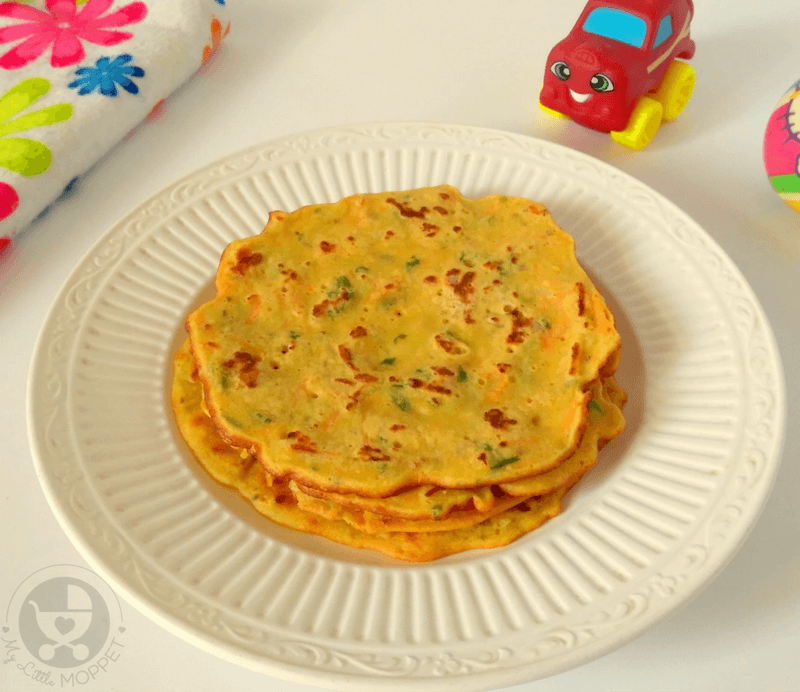 is chick pea flour called besan in hindi ? 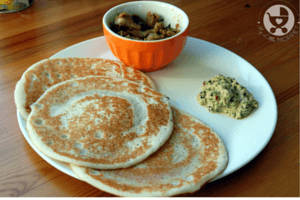 Chickpeas flour yes is besan.